The Ancient Anunnaki are said to have created the human race by genetically modifying early humans in order to use them as a labor force. But before humans were created, the Igigi were used by the ancient Anunnaki as their main labor force. It is said that the Igigi –they who turn and see—were the Ancient Astronaut Gods of the younger generation, the servants to the mighty Anunnaki who came to Earth to mine gold. The terminology used to describe the gods is extremely complicated and still needs much study.- Researchers believe the term Igigi is of Semitic origin and indicates the group of gods in the Mesopotamian pantheon. It is still unclear which ancient gods belonged to the Igigi, but many scholars suggest Mardik –the patron god of the city of Babylon—was one of the Igigi. 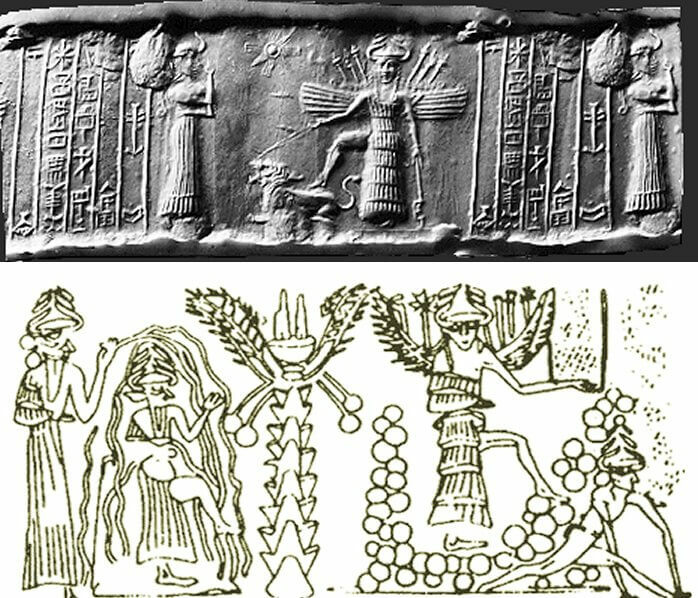 Mainstream scholars use the term Igigi to make reference to the Sumerian mythological deities. According to mainstream scholars, mythologically speaking, the Igigi were the younger servants of the Anunnaki who initiated a rebellion against their masters and dictatorship of Enlil. Eventually, the Anunnaki replaced the Igigi with humans. Ancient Astronaut hypothesis suggests that the Igigi were similar to the Anunnaki, remaining in constant orbit around our planet. They were basically considered as intermediaries between our planet and Nibiru –home of the Anunnaki. Many believe that the Igigi remained in constant orbit around our planet in giant platforms which processed ores which were delivered from Earth. After processing the minerals, the material was transferred to other ships and eventually transported to the home planet of the Anunnaki. After years of tenuous and hard work for the Anunnaki, the Igigi rebelled against their masters. It is sad that they ‘set fire to their tools and surrounded Enlil’s great house by night’ forcing the ancient Anunnaki to find another source of labor. This is why the ancient Anunnaki replaced the Igigi after genetically engineering ancient humans creating a greater workforce. Many authors suggest that the human ‘slave race’ was created after the ancient Anunnaki genetically modified their genes and that of early humans nearly 500,000 years ago.